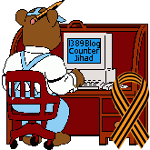 Saudi Arabia — 1389 Blog - Counterjihad! San Bernardino coverup: What happened to the third shooter that witnesses saw? Biden admits ISIS terrorists armed by Turkey, Qatar, Saudi Arabia, UAE! Why oppose the building of a mosque? For that matter, what is a mosque? Where in the world is jihadi plotter and pilot Adnan Shukrijumah?